News Archives - Northern Shores Community Development, Inc.
Northern Shores Community Development, Inc. (“NSCD”) in conjunction with a donation from Peaceful Valley Farm and Garden Supply (GrowOrganic.com) donated numerous organic and non-GMO vegetable seeds at a Tribal Elder’s meeting in April of this year. 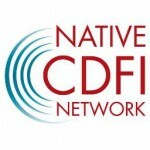 Northern Shores Community Development, Inc. (“NSCD”) is pleased to have been chosen for The Native Arts Economy-Building Grant from First Peoples Fund. Harbor Springs, MI – September 11, 2014 – Northern Shores Loan Fund, Inc. has changed its name to Northern Shores Community Development (“NSCD”)! This name change highlights our new and ever expanding loan programs and services here in Michigan. Loan Officer, Cindy Hendrickson with Northern Shores Loan Fund, Inc. (“NSLF”) has recently completed training and is now certified to teach the Building Native Communities -Financial Skills for Families, 4th Edition curriculum offered through First Nations and Oweesta. Northern Shores Loan Fund, Inc. (“NSLF”) announces two new Board Members Patrick Schmidt and Harley Luplow. Both of them previously served on NSLF’s Loan Committee. Northern Shores Loan Fund, Inc. (“NSLF”) is proud to announce that it has approved a loan for Little Shop of Tresses, LLC located at 118 W. Lake Street in Fife Lake. Little Shop of Tresses is a beauty shop that is owned and operated by Alice Aldridge. Petoskey Michigan, March 18, 2014. In September of 2013 Northern Shores Loan Fund Inc, of Harbor Springs, provided a loan to Cygnus Inc for the purpose of developing a wood production line at their facility at 1701 Standish Ave. Petoskey MI. “I would recommend Northern Shores Loan fund to anyone who is interested in a business loan. Less paper work, with a helpful and friendly staff made for a pleasant experience.” States Robert Waugh, President of Cygnus Inc.
Northern Shores Loan Fund, Inc. (“NSLF”) is proud to announce that it is partnering with Waganakising Odawa Career & Technical Education Program (“WOCTEP”) to offer Tribal Citizens low interest Artisan Loans effective April 1, 2014.